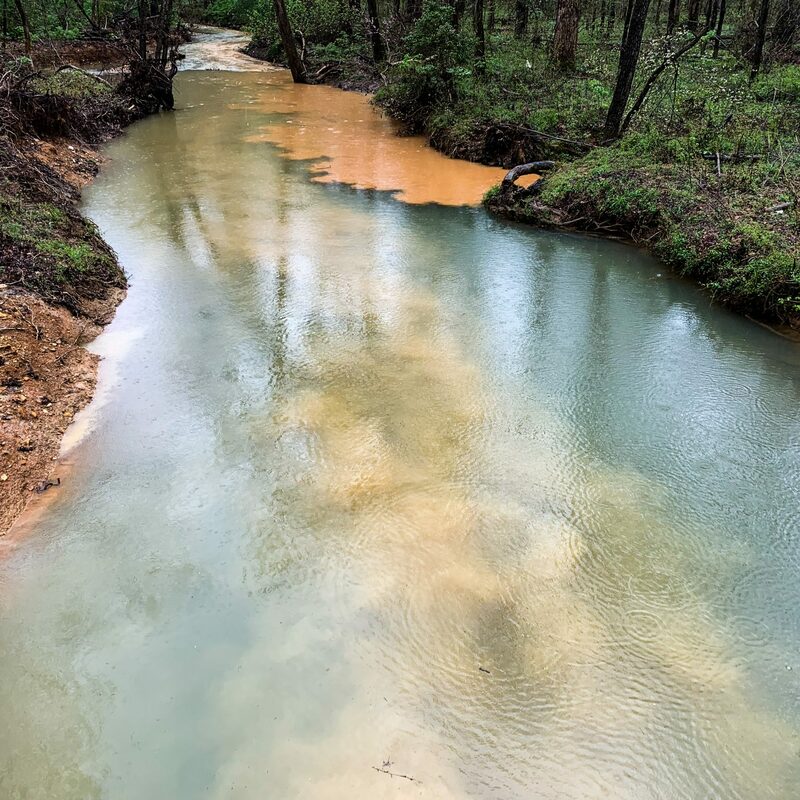 Sediment plumes and mixing during rainfall. 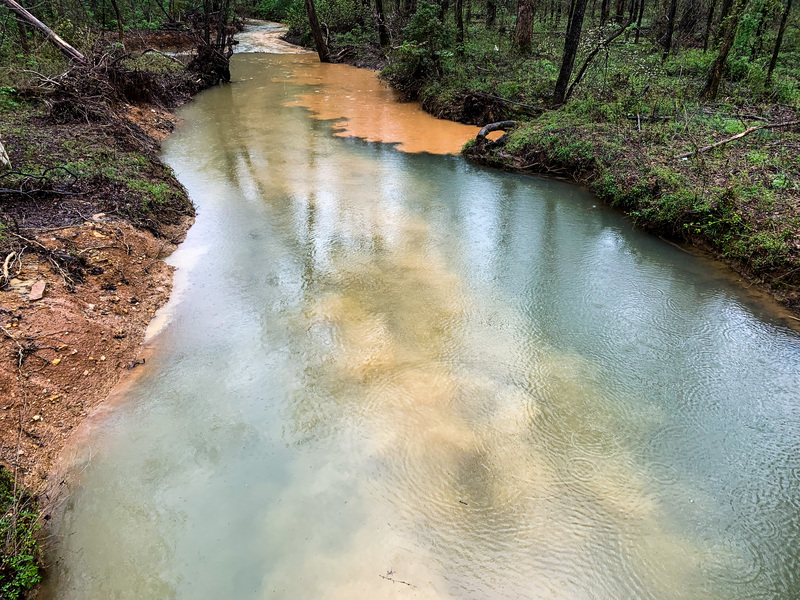 A tributary on the right side of the channel is transporting bright orange suspended sediment derived mostly from runoff on a gravel road to the right. The tributary is fairly shallow, so most of the suspended load is still near the trunk stream’s surface. On the left, fine particles are being lifted from a recent excavation in the low-velocity margin of the larger stream. Although the sediment plumes, especially in the central channel, show turbulent and convoluted flow, there is little mixing in this fairly straight channel. The margin of the bright orange plume shows evidence of eddies and vortices.